Discount available! Recommend Raspberry Pi 3 Model A+ to your friends and get your Discount. The Raspberry Pi 3 Model A+ is the latest product in the Raspberry Pi 3 range, weighing in at just 29g. 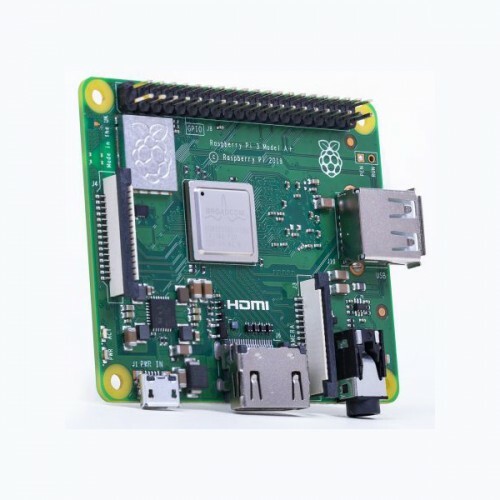 Like the Raspberry Pi 3 Model B+ , it boasts a 64-bit quad core processor running at 1.4 GHz, dual-band 2.4 GHz and 5 GHz wireless LAN, and Bluetooth 4.2/BLE. The dual-band wireless LAN comes with modular compliance certification, allowing the board to be designed into end products with significantly reduced wireless LAN compliance testing, improving both cost and time to market. The Raspberry Pi 3 Model A+ has the same mechanical footprint as the older Raspberry Pi 1 Model A+ . I/O shield for Raspberry Pi (Raspberry Pi 2 or Raspberry Pi 3) based on the MCP23017 .. This kit allows you to build a station Arcade games - for a player - such as those ..
320×240, 3.2 inch Resistive Touch Screen TFT LCD, Designed for Raspberry Pi. ..
5 inch Resistive Touch Screen LCD, HDMI interface, supports various systems. 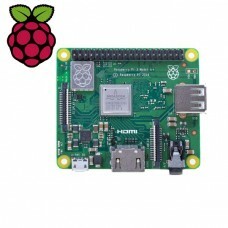 Ra..
Strato Pi is a professional expansion board for Raspber..
1024×600, 10.1 inch Capacitive Touch Screen LCD, Supports Multi mini-PCs, Multi Sy..
4inch Resistive Touch Screen LCD, HDMI interface, IPS Screen, Designed for Raspberry Pi ..
GPIO Starter kit for Raspberry Pi. Kit List ..
Set including all the necessary parts for the construction of a VOIP phone based on..
RPi relay board is an expansion board for Raspberry Pi (A+ / B+ / 2B / 3B..